Murray Howe says Waskesiu, Sask., was his dad's favourite place on Earth. Now Murray is returning to Waskesiu to honour his father on Gordie Howe Day on Sunday. Gordie Howe, who died in 2016, loved fishing and golfing at Waskesiu in Saskatchewan. 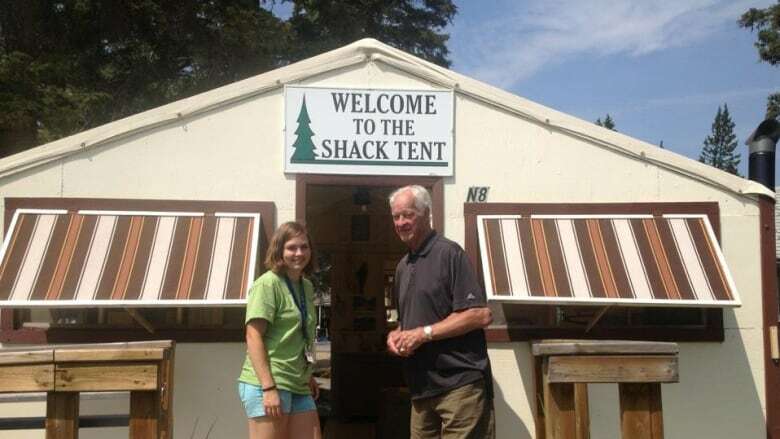 Here, he's seen visiting the Shack Tent at the Waskesiu Heritage Museum in 2012. 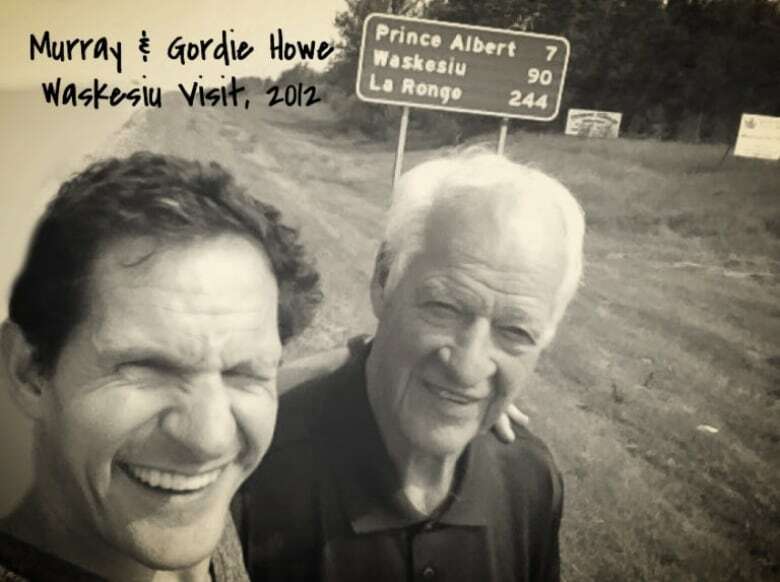 In 2012, about four years before beloved Saskatchewan hockey legend Gordie Howe died at age 88, he went back to the place his son Murray says was Mr. Hockey's favourite place on Earth — Waskesiu, Sask. "I said, 'Dad, you talk about this Waskesiu place all the time, you gotta show me it,'" Murray told CBC Radio's Saskatchewan Weekend. "So I took him up there and he showed me where him and mom used to stay in the tent cabins and the burger joint and ice cream joint that he would take my mom to wine and dine her." This weekend, Murray is returning to Waskesiu to honour his father on Gordie Howe Day on Sunday, Aug. 5. 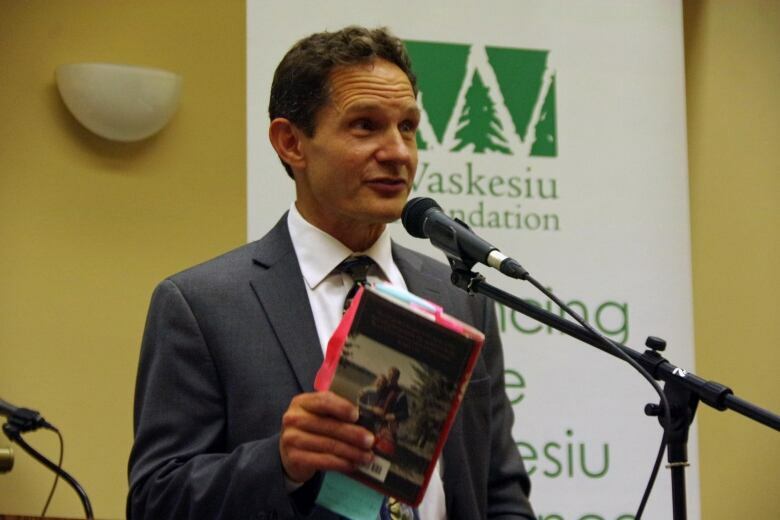 As part of the celebration, Murray will hold a signing and question-and-answer session on the book he wrote about his dad, Nine Lessons I Learned From My Father. Replacements offered for Gordie Howe jersey stolen in Asquith, Sask. He said Gordie Howe loved fishing and golfing at Waskesiu, which is about 200 kilometres north of Saskatoon. Gordie once spent a whole summer there working as a greenskeeper so he could spend more time golfing. Murray said it means a lot to return to celebrate his father in one of his favourite places, adding that he always enjoys hearing stories about Gordie. "I love my dad so much and it's just so fun to meet other people, you know, who share that love and passion for who he was as a man and as a father," he said. "To be able to do that in his home turf is just extra, extra special." Murray Howe's book signing runs from 11 a.m. to 1 p.m. CST at the Waskesiu Heritage Museum Grounds on Sunday. A Gordie Howe memorial fitness park dedication will be held at 1:15 p.m. at the Waskesiu Recreation Association Grounds, and a heritage sign will also be unveiled at 2:30 p.m. at the Waskesiu Golf Course.